Matilda and Cow were born in the Central Valley in California, and they probably still remember getting leftover tacos from their former owners – Cow surely charmed the taco truck cooks for scraps when she spent most of her days on the street. Cinco De Mayo felt like the perfect time to honor their past and treat them to some tiny tacos of their very own. I don’t remember anyone in that area who actually celebrated Cinco de Mayo, but nonetheless, you’ll love this traditional staple recipe turned into a tempting dog treat. 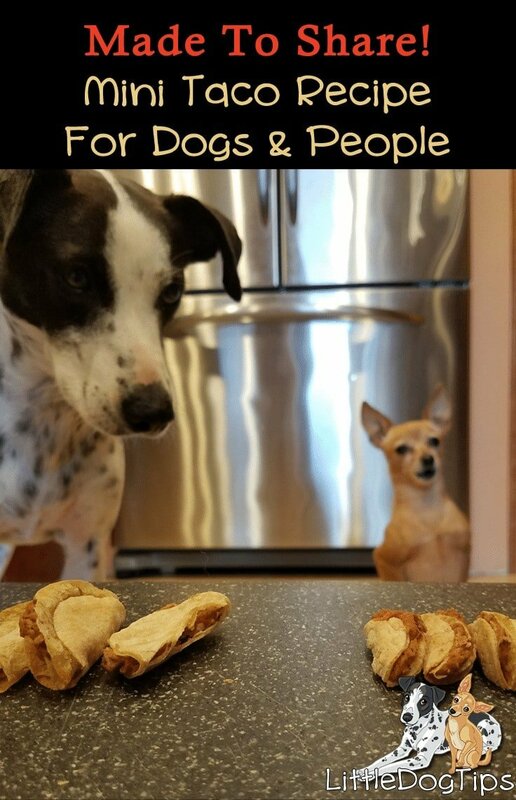 Pinto beans and corn tortillas, the main ingredients in this dog treat recipe, are high in carbohydrates, and not particularly nutritious for dogs, so this is best served as an occasional snack. 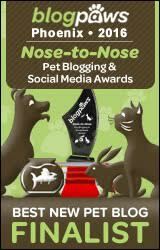 Not ideal for dogs with allergies to corn or legumes, or those with diabetes, or those that need to lose weight. For a low-carb snack, try beef jerky. Drain and rinse beans, then put beans in a pot with broth and seasonings. Cook over medium heat, mashing and stirring constantly. Reduce until you create a bean paste about the consistency of oatmeal. Remove from heat. Warm tortillas in microwave or on stovetop until just soft and flexible. Cut tortillas into circles with a circle cutter, or a mug or wine glass. Save scraps to make tortilla chips later! To create mini tacos, smear bean paste on half of tortilla then fold over. 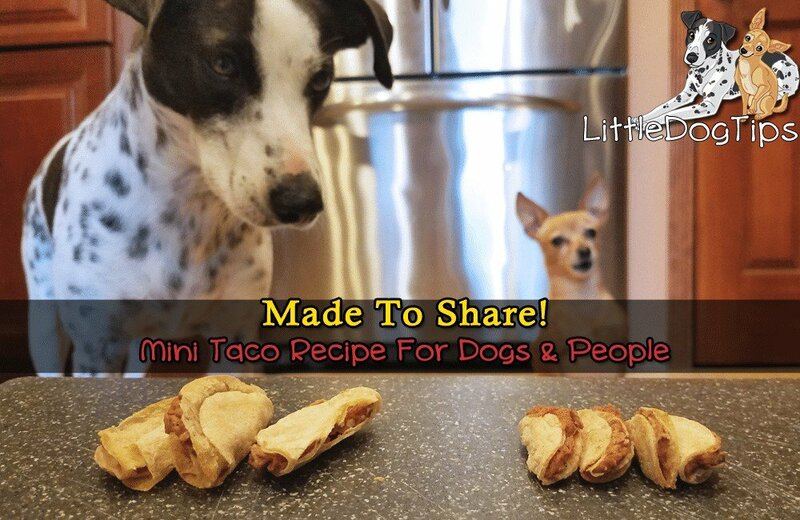 You and your dog can snack on the mini tacos as-is, or you can bake them for a longer-lasting treat that can be kept out at room temperature. Bake for 15 minutes, then shut off oven and, with oven door closed, let tacos continue to cool and dry out in the oven for additional 15 to 30 minutes, until tacos are completely dry and crunchy. Store in airtight container at room temperature for up to two weeks, or longer in the freezer. I do not recommend fridge storage, as they will get moist, soft and moldy. They can be served frozen for extra crunch! These look yummy. We didn’t do it Cinco De Mayo, but I will try them for my babies this weekend for sure. Love love love the pic of them looking at the tacos ??? I never thought of making my dogs tacos that’s a great idea. Your dogs have excellent self control, my dogs would have a hard time resisting such a tasty treat. They look really tasty, although theres no way Merrie would stand looking at them, today she stole a piece of my daughters burger when she wasn’t looking! My dog loved these treats! I mean, he loves all treats but… these were especially fun! Please post more recipes like this. 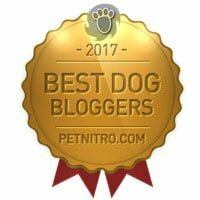 My dogs love it but i don’t want to give them same treats over and over again. Thanks by the way. I felt hungry looking at this food. Thank you for sharing this recipe i hope that you will be posting more recipes. 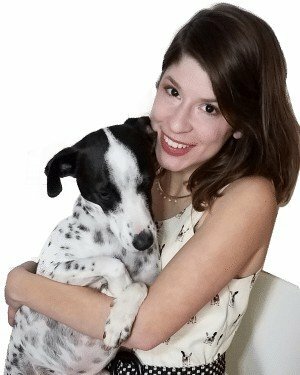 Acquired this new recipe for my doggy so that i will no longer serve him the same treats that i used to cook for him. This tiny taco recipe is amazing worth trying and I am sure my dog is gonna love eating it. Wow, the recipe is outstanding. will surely try this one. Also, have a look at this article.